Harry Potter actor panels at LeakyCon offered insights into the characters they portrayed, where the actors are now, and also their favorite memories from filming. 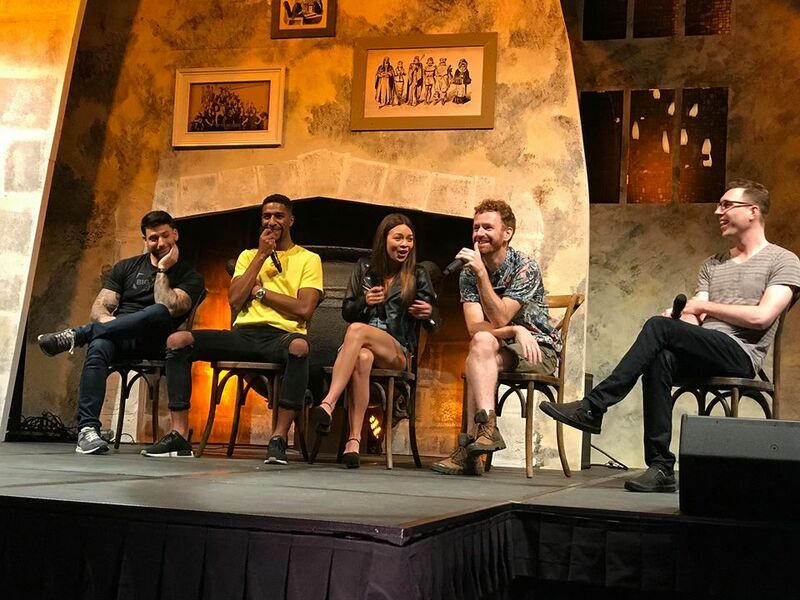 LeakyCon brought together a few of Hogwarts’ finest for the ‘Acting As a Young Wizard’ panel, and some of the less likable characters for the Antagonists panel, and our correspondent, Kathy Paz, captured the panels live to make sure Leaky readers wouldn’t miss a thing. 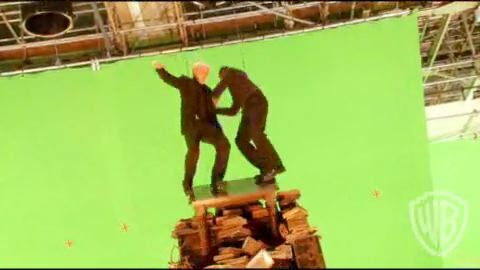 Audiences learned more about deleted scenes with Peeves, filming the Yule Ball in Goblet of Fire and some of the deleted scenes in Deathly Hallows Part Two, why Percy is the way he is, and much more! Each panelist said they were surprised they got the part in Harry Potter, Luke didn’t realize Potter would grow to be as big as it became, and was fourteen years old and working on the Lion King on the West End when he got the part. His friend was reading book, and he got round to reading it when his agent told him about the audition: “OBVIOUSLY I was hooked because it’s AMAZING.” He was so happy he jumped across the room when he got the part, but he thought it was going to be a TV show! They were apparently the ‘worst behaved’ group on set, and Devon agreed that they ‘got away with so much stuff’ on set – at least they were in character! Some of the adult actors, were just as mischievous as the twins and Luke (and some even moreso!) – Devon told a brilliant story about a prank Robbie Coltrane played on him during his panel (read more here), and also said that Ralph Fiennes (Voldemort) and Jason Isaacs (Lucius Malfoy) “were like the two biggest kids I’ve ever met in my life”. She’ll be appearing in action series Remnants, currently in pre-production. Read more about the show in our latest round-up here. On what genre of film or TV they’d like to work on in future, Luke and Devon both said Sci-Fi, but Ellie said she’s interested in the Horror genre, and has actually had idea to write a horror book and turn it into a movie for years! Louis Cordice (Blaise Zabini), Stan Yanevski (Viktor Krum), Scarlett Byrne (Pansy Parkinson) and, much to our amusement, Chris Rankin (Percy Weasley) appeared on this panel to discuss their roles in various capacities as antagonists in the series, whether through their character’s connections to dark wizards and those prejudiced and disrespectful toward muggle-borns, whether they were just an antagonist to a jealous Ron, or whether they were just too arrogant to accept that their family were right! Louis kicks off the panel by saying that he had taken the Pottermore quiz, and that he was sorted into Gryffindor. Scarlett said she was ‘really willing’ herself to get Slytherin, so was happy when she got that as a result – we all know Pottermore takes your choices into account! 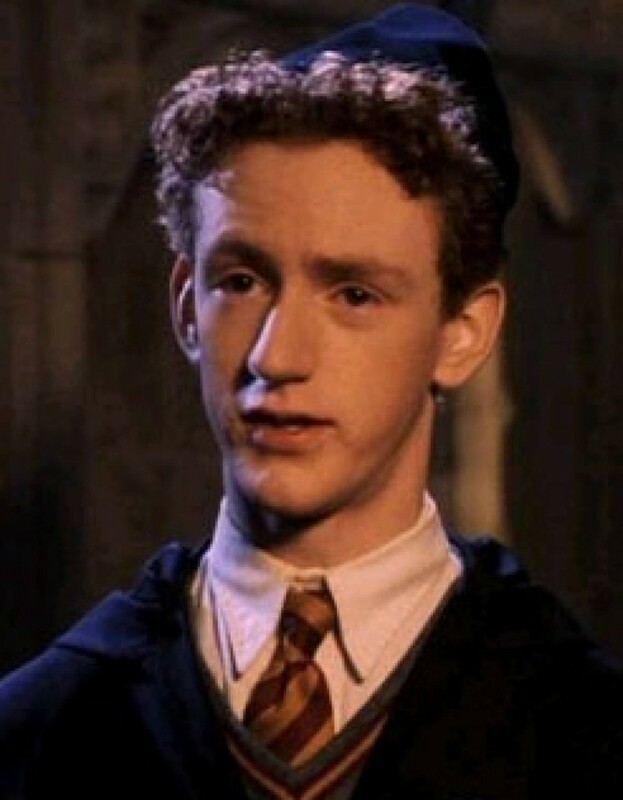 Chris Rankin is a Ravenclaw, which he says makes him ‘the person you want on your team in a pub quiz’. Stan is also a Slytherin. Do you think Krum would have been in the same house if he had attended Hogwarts? “Percy… Well, he’s not a bad guy, right? He just gets it a bit wrong! I could talk about this for days, but the short version is that I don’t think Percy is anywhere near as intelligent as everyone assumes he is because he’s always got his head in a book and he’s always doing his homework. I think that’s actually because he’s not as clever as Bill and Charlie, who are the ones he would’ve always been compared to as a kid. So he’s always had to work that extra bit harder to be as good as his brothers, and Ginny, his sister. Chris also said he believes Percy should be a Slytherin, because he’s “more ambitious than he is brave” (do you agree – or is it steadfast Gryffindor determination that gives him his traits?). However, he admits that it takes bravery to put your hands up – as Percy did – and admit that you’re wrong. She also believes that Pansy acted more out of fear at times, but can’t argue that she’s an antagonist! Louis says tapping into Zabini’s prejudice was interesting, and that he’s also clearly an antagonist. Louis said one of the benefits of playing an antagonist is that he could walk around set being ‘a bit moody’ and nobody would say anything! “It’s not very difficult playing a character who doesn’t really speak.” He said. 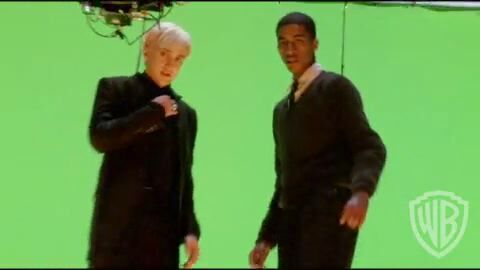 As for rivalry on set, Louis explains that in Goblet of Fire, when the ‘new guys’ from Durmstrang and Beauxbatons came in, there was some rivalry as everybody knew one another. Chris also said that Houses were ‘naturally segregated’, even when not sitting at their tables. When Scarlett got the role, she was only 16 or 17, and said coming to set was exciting because it felt like coming to a new school. When she found out she got the role, she was worried about her mum telling everyone as she’s apparently a ‘massive gossip’, and there was another girl at her school who had also got a role in the films, and would travel to set and back to school with her. Back in 2000, Chris said he joined a Harry Potter forum (under the name Percy Weasley) because he loved the books so much, and that the secret of his role in Harry Potter was much easier to keep than it would be now. “I remember getting out of the car, and everything was really well organised and rehearsed, and the moment I came out of the car, I saw this thing fall out of the sky at me… and it was a bra. Scarlett’s favorite memory is the Battle of Hogwarts, because it was the last scene the majority of the actors shot together, and they worked on it for around two to three weeks. 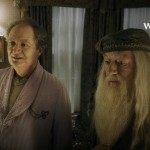 There was an interruption in filming at one point, as Rupert [Grint] apparently got stung by a bee! When portraying an antagonist, Scarlett says it’s best to just be confident, ‘go for it’ and ‘own that you’re a bad guy’ and to own the choices you make on set, and also said she’d “love the opportunity to play somebody normal and nice”, because she always gets cast as people with powers. On what preparing for his role involved, Chris said playing Percy made him “the anticlimax to everything [the characters] were trying to do”, and he worked to embody smugness and disapproval. He described Percy as looking like “he’s always chewing a wasp”. “No. Because prior to Fred dying he’s already realised where he’s gone wrong. 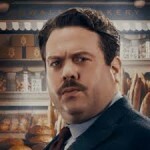 Where does he write that letter to Ron? Book 5, right? That’s the peak of going in the wrong direction for me, and after that he’s just on this path and he’s got no idea how to get off it. To find out more about LeakyCon 2019 head to the official website to book tickets to Dallas (August 9-11 2019 – now available), and Boston (October 11-13 – available September 4). Weekly Round-up: Michael Gambon and Jim Broadbent Reunited in 'King of Thieves', a First Look at Eddie Redmayne in 'The Aeronauts', and More!